St. Rupert’s Fair in Salzburg. 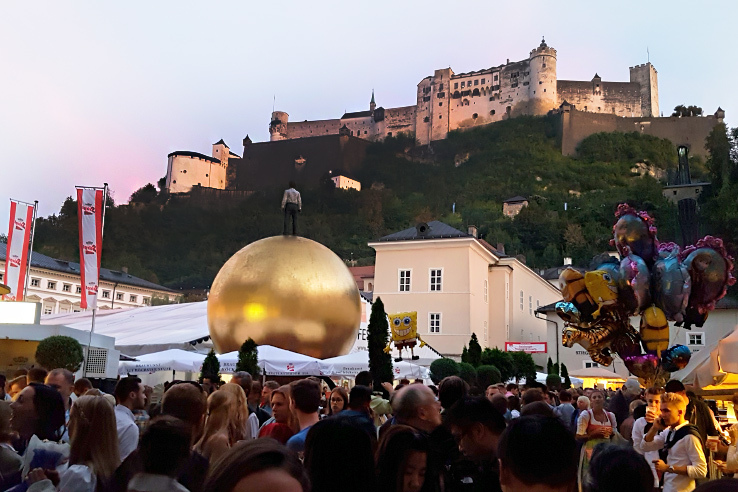 When carnival rides, traditional music, dancing, (lots of) beer, food, and fun take over Salzburg’s Old Town square. Since the 14th century, this annual festival has been celebrated every September in Salzburg. And a tradition that’s lasted hundreds and hundreds of years is bound to be one worth experiencing. In fact, after living in Salzburg for 2 years, it is by far our favorite festival of all. 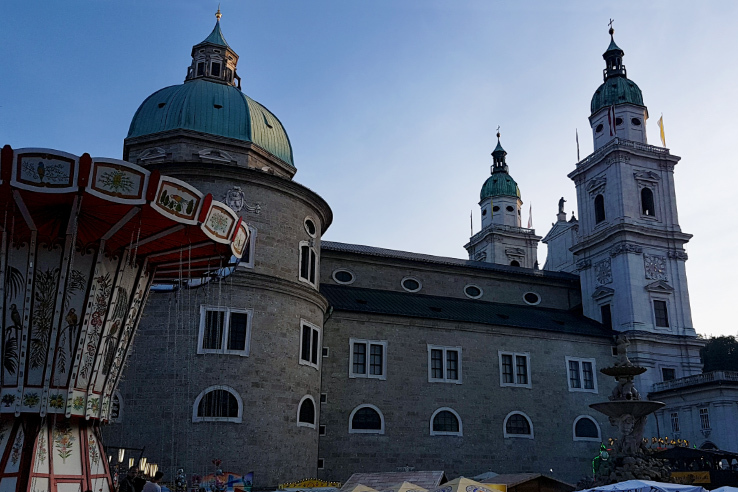 The best way to describe St Rupert’s Day Fair is like a mini Oktoberfest, but instead of being at festival grounds, you’re surrounded by the Baroque architecture of Salzburg’s Old City squares with the majestic Hohensalzburg Fortress towering over you. There’s something so magical about enjoying an event that’s lasted centuries in an environment like this. You can feel the joy and free-spirited nature of the celebration, and when you’re right in the heart of this fairytale city with cathedrals and castles in all directions, there is simply nothing cooler or more unique. What is St Rupert’s Day Fair? St. Rupert’s Day Fair (or Rupertikirtag in German) is an authentic folk tradition and celebration in the city of Salzburg. It is meant to honor Saint Rupert, who was the patron saint of Salzburg in the 8th century. 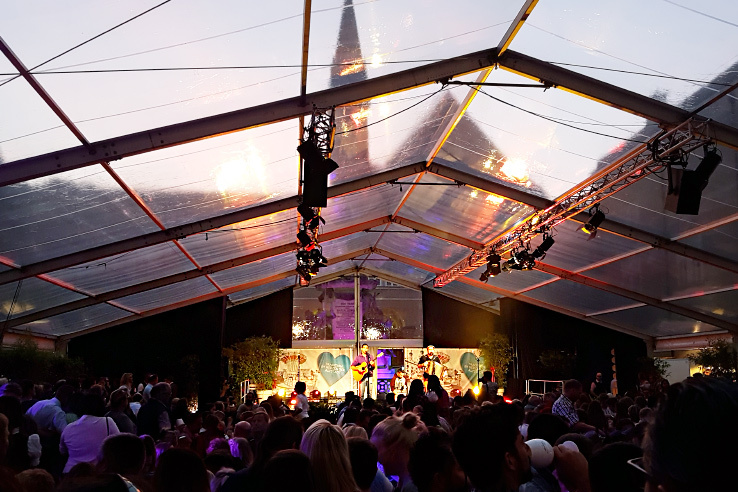 Usually centered around the feast of Saint Rupert, during the closest weekend, this festival attracts locals from all over Salzburgerland and beyond. So no, it is definitely not just for the tourists. In fact, if you have a traditional dirndl or lederhosen, THIS is the time to show it off. 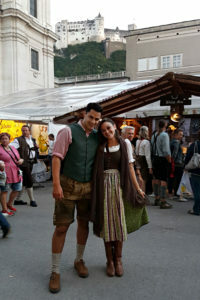 Most attendees will be decked out in their finest Austrian tracht (traditional garments in German-speaking countries). So why not join in the fun and get extra use out of your Oktoberfest outfit? 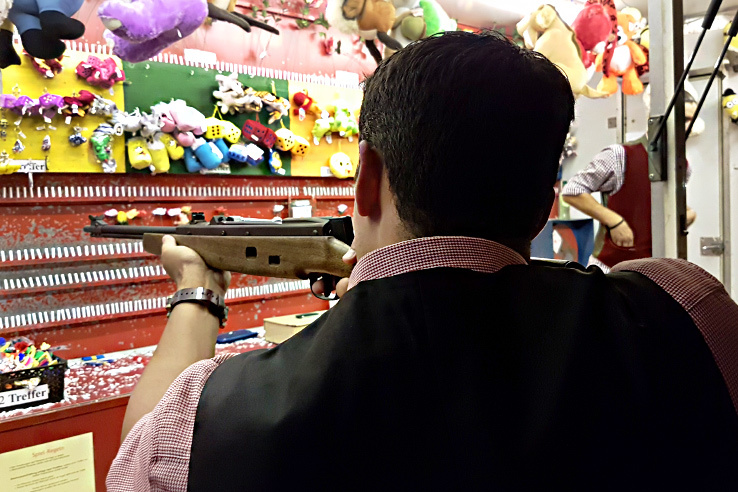 There are seriously endless activities to take part in at St. Rupert’s Festival. From the carnival rides and games to the local crafts and FOOD. People of all ages and all interests will undoubtedly embrace the celebrations, wholeheartedly and joyfully. There are swings, carousels, spinning rides and carnival games for the young and the young at heart. Booths of handmade Austrian crafts for all my shoppers out there (including us!). Traditional music and dancing for those that appreciate local folk music and having a good time (everyone!) And FIREWORKS on Sunday night during the festival. Leaving St. Rupert’s Fair without a smile is just not possible. But your face won’t be the only part of you smiling…your stomach will surely be smiling too. The food. The oh so delicious food. Just like every festival and celebration in Austria, food is one of the main attractions. Lining both squares of the Altstadt is (what feels like) endless local treats. Of course, it would be no Austrian celebration without beer. And at St. Rupert’s Fair, there is not only beer and wine sold at vendors around the festival; there is a giant beer tent with not only beer but a whole lotta fun inside. You can sit there throughout the day, listen to music and order off a menu of delicious items. 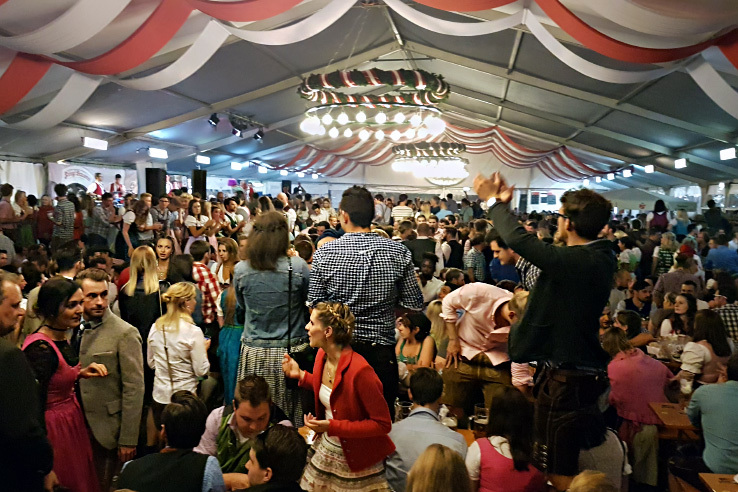 But at night is when the tent really comes alive.We’ve been to Oktoberfest, and it really feels exactly like that, but smaller and with more locals. People will be standing on tables, dancing, singing to the music. It’s just the best. 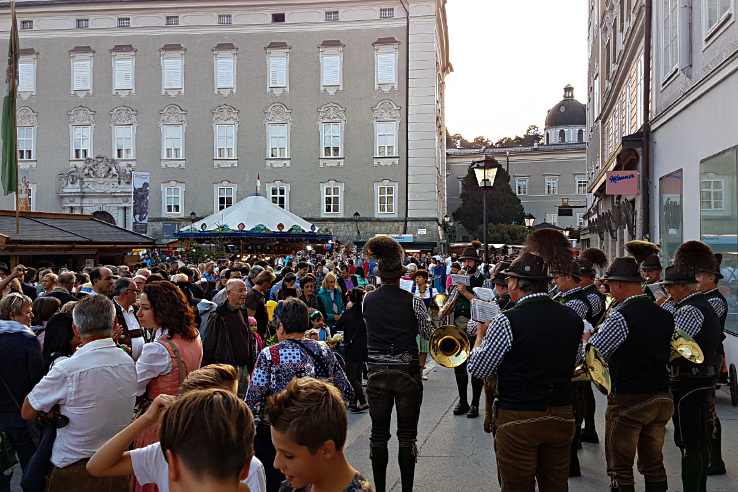 Surely, after reading this article you are ready to book your trip and plan a visit to Salzburg around Saint Rupert’s Festival. And we don’t blame you. So here is everything you need to know. If you’re looking to make a table reservation, email office@salzburg-altstadt.at. The earlier, the better. For example, this year (2017), after September 4th, they were no longer accepting reservations. On Sunday, the last day, there is usually a fireworks show. This year (2017) it takes place at 8:45 pm. With the castle and the Old Town, fireworks are icing on this magical fairy tale cake. 3) Dress for the occasion. We definitely recommend dressing in lederhosen or a dirndl for the event. Like we said, all the locals are dressed up, so getting in the spirit and dressing up too makes it extra fun. On the website, there is a St. Rupert’s festival program, BUT it’s only in German, not English. 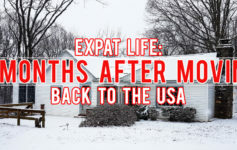 If you are ready and able to translate or have access to Google translate, it will definitely help with your planning. OR just use this program to get a general idea of when things are happening. Traditions are an important part of Austrian culture, especially in the city of Salzburg. And St. Rupert’s Fair is the perfect example of keeping old traditions alive in a world where everything changes constantly. It’s refreshing to see future generations just as enthusiastic about the same music, drinks, and food as the millions that came before them. 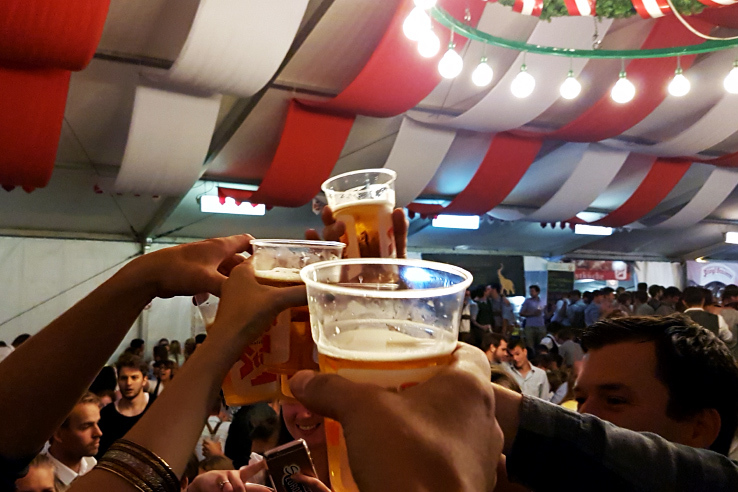 And that is why St. Rupert’s fair is the perfect place to Prost, dance, sing, smile and enjoy those same Austrian traditions that have lasted hundreds and hundreds of years. For more fun in Salzburg and our other favorite spots, views and day trips, visit our ‘Best of’ Salzburg list and Austria page!